A few hundreds of men of athletic build stay near the building of the Central Election Commission as 112 Ukraine reported. “A few hundreds of the young men stay near the building of the Central Election Commission. They communicate reluctantly; they have the athletic build; a lot of them are in the tracksuits. We ask one of them what he is doing. People said that it is a coordinator of these guys…He said that they stay here not to allow the provocations and falsifications of the results of the elections,” the correspondent said. According to her, the men stated the intention to guard the public order in the case of the provocations. “Besides, the mass media spread the information that somebody got money for staying here. We did not get such confirmation. The situation is calm at Lesya Ukrainka Square; the patrol police, K-9 units and police of dialogue work here,” the correspondent added. The men stay near the building of the Central Election Commission legally as they filed the application for the rally as Ukrainian News reported citing Artem Shevchenko, the Spokesperson of the Interior Ministry. 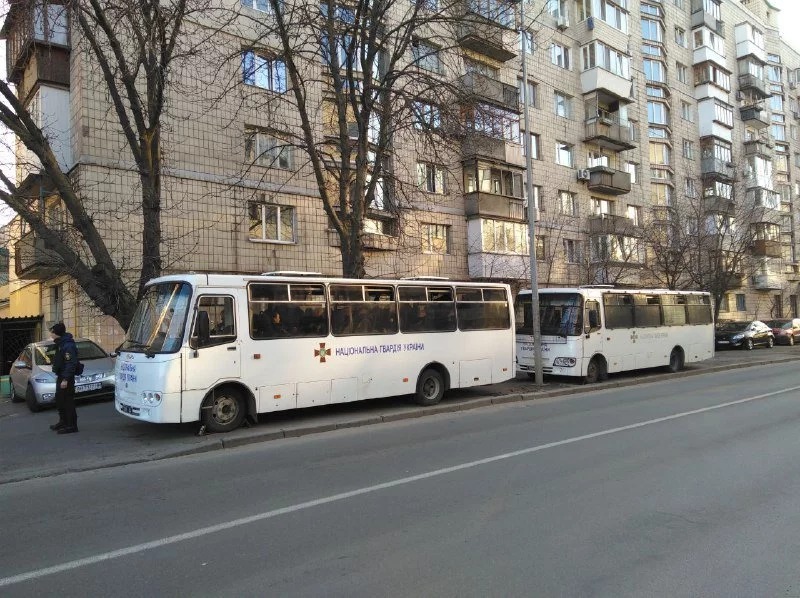 Moreover, the buses of the National Guard of Ukraine stay near the Central Election Commission as Chestno public movement. “The buses with National Guard are near the Central Election Commission,” the message said. As we reported, the voters' turnout in the presidential elections in Ukraine was 44,5% as of 3 p.m. The election campaign has officially started on December 31, 2018. There are 39 candidates in the ballots and over 35.6 million voters. Over 315,000 of the voters changed the place of the registration for voting. As we reported, the voting process will end at 8:00 PM. The online broadcast of all the evens concerned the elections you can watch here.